Hi friends! I hope you had a lovely Easter weekend. I’m happy to start the week off with my version of The Home Depot’s Vertical Succulent Garden. 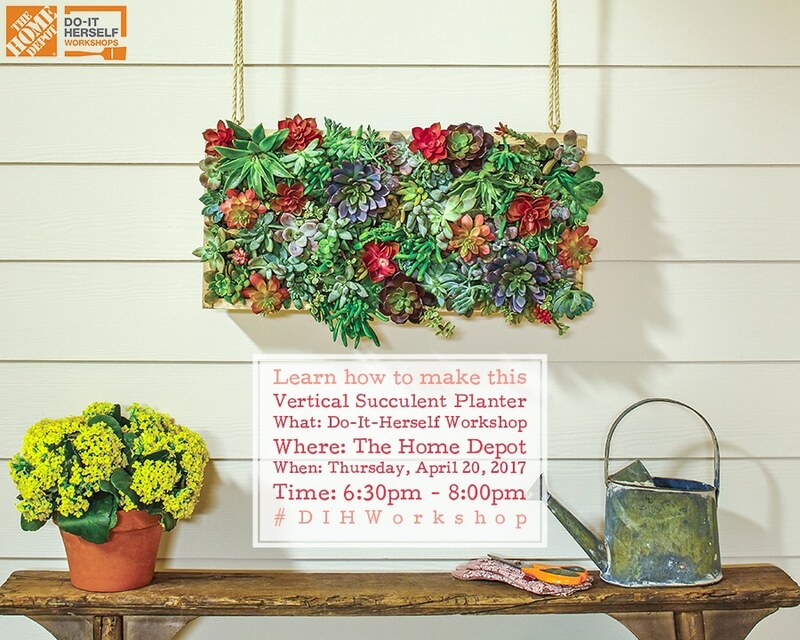 Have you signed up for the Do-It-Herself Workshop yet? It’s happening THIS THURSDAY (April 20th) so be sure to check with your local store for details and register! You don’t want to miss it, so mark your calendars, grab your best girlfriends (dudes are welcome too! 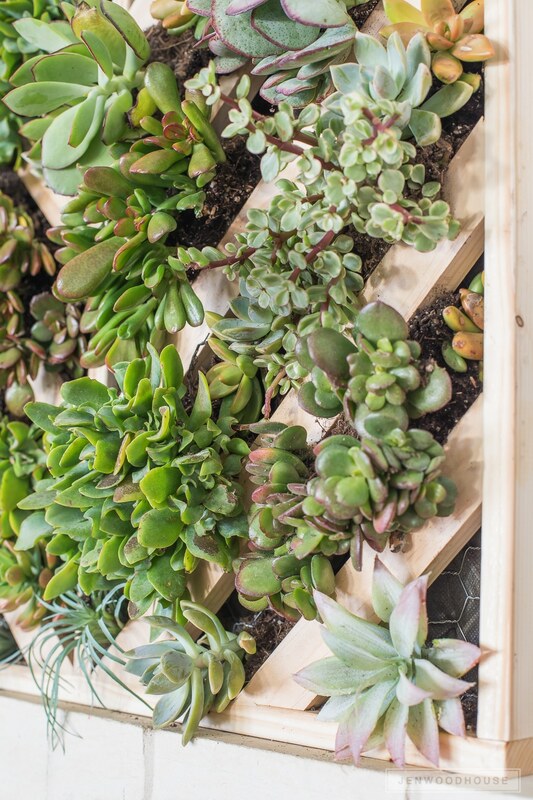 ), and come build a Vertical Succulent Garden with us – it’s going to be so much fun! You know what else is fun? Getting to put my own spin on this project. 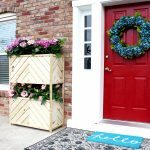 I was inspired by the bed I built for my daughter and the two-tiered chevron planter I made a couple of years ago. 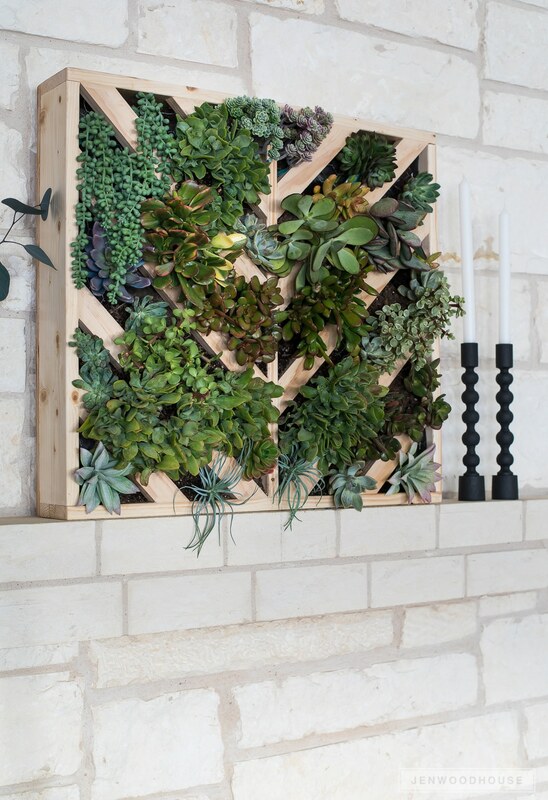 I’m a sucker for chevrons and this vertical succulent garden is no exception. I love how it turned out. Before we get started, I wanted to send a special shoutout to my dear friend Aniko who has an impeccable eye for design. She helped me tweak this photo to get everything juuust right. Move the plant a little to the left. Switch out the basket. Add a rug. Perfect! 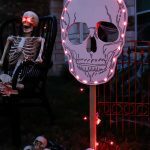 It’s a huge blessing to have such generous and talented blogging friends who just get you, who can preview photos and offer an objective eye when you need it most. 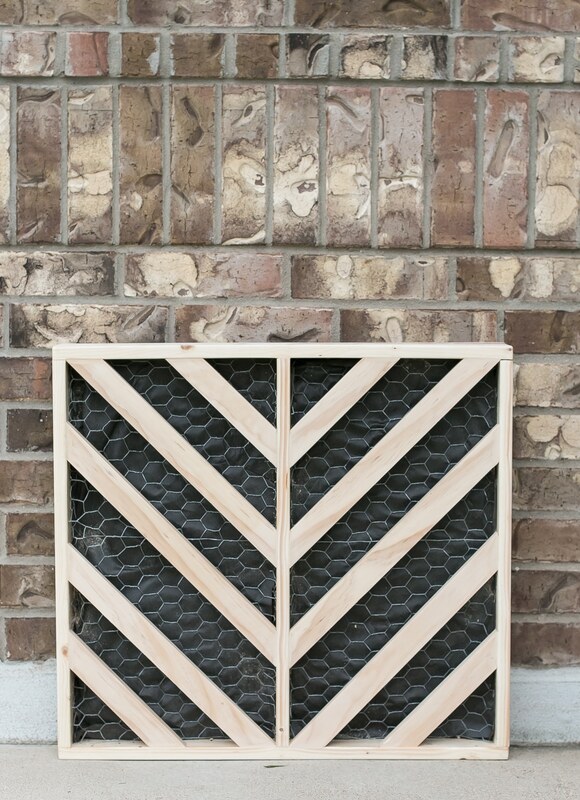 Okay, are you ready to build my chevron version of this vertical succulent garden for yourself? I’ve drawn up the plans for you – the materials, cut list, and dimensions are all included in the plans. First, I built the box. Then I sanded and finished the planter before moving forward. 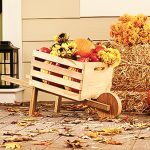 Be sure to use an exterior-grade finish to protect the wood from moisture. 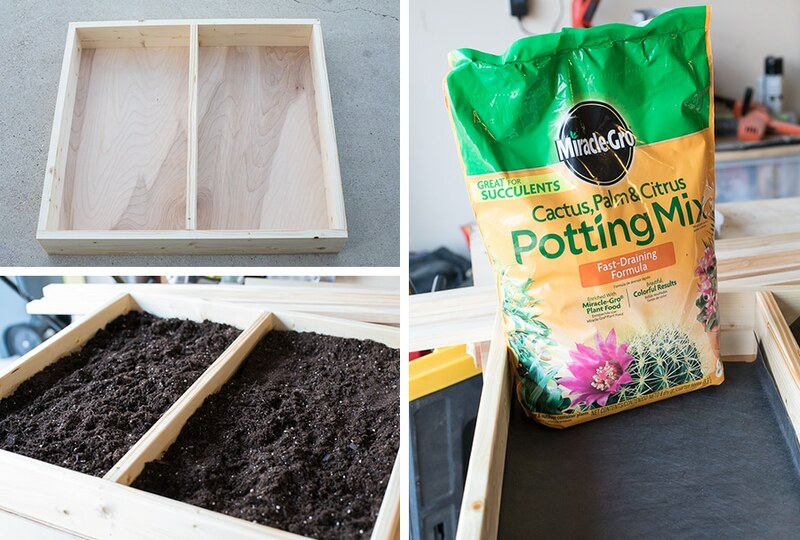 Once the planter was dry, I lined it with landscape fabric, filled it with cactus potting mix, covered the soil with more landscape fabric, then stapled the chicken wire on top. I bought all of my materials from The Home Depot – they have an amazing selection of succulents and I totally went crazy plant lady in the garden section. I also picked up this soil specifically for cactus and succulents because I need all the help I can get. Next, I measured and cut all my chevrons. These are all cut at a 45º angle, so no crazy funky angles here. The less math is involved, the better. Trust me. 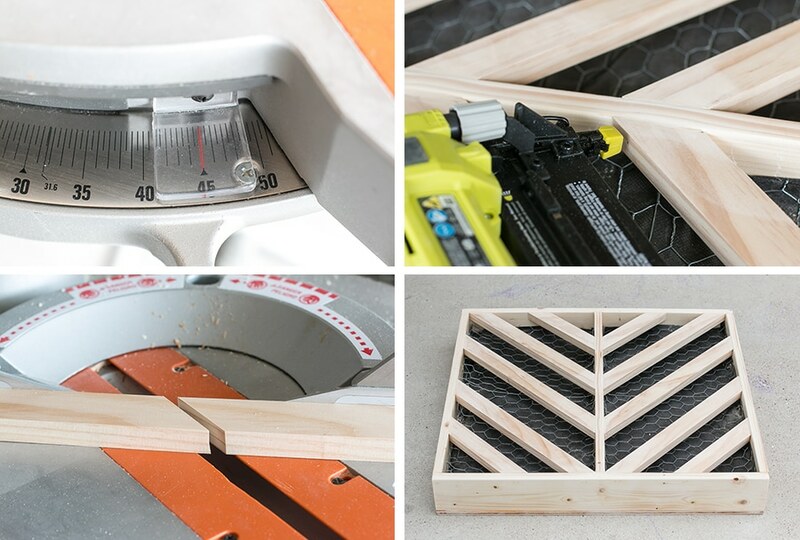 Set your miter saw to 45º, then cut your boards. I prefer to just hold the boards in place, mark them, then cut them to fit instead of using a measuring tape. I cut long and shave off 1/8 of an inch at a time until I get the tightest fit. You may need to toenail a few joints here and there to attach some of the chevrons. Toenailing is simply driving a nail at an angle through a board (see top right photo below). This vertical succulent planter is heavier than I thought. It’s probably about 50 pounds or so. Keep this in mind when you shop for hanging hardware. Most hardware will have the weight load printed on the package. I bought a few D-ring hangers that have a 100 pound weight capacity because I tend to overbuild. Why build when you can overbuild? It ain’t a DIY project until you bleed on it, is what I always say. What makes the green grass grow? 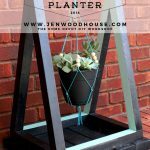 Also, something worth mentioning: when you turn the planter vertically, gravity is going to come into play here so when you’re planting your plants, make sure they’re planted firmly into place so they don’t fall out. 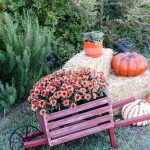 Take your time, don’t get frustrated, and be meticulous about planting your plants firmly into the soil. The chevrons will help hold everything in place too. This vertical succulent garden looks so pretty and it’s such a striking feature above my fireplace, but I have no idea how I’m going to water this thing. Not that I’m very good at remembering to water my plants, so I guess that’s just par for the course. I suppose I could use a spray bottle to mist it or maybe just take it down every so often to water. Since it’s pretty heavy, I can add it to my fitness routine. I don’t have a fitness routine because TACOS. Don’t ask me about drainage – this is a learning experience for me too. Ask me again in a few months. 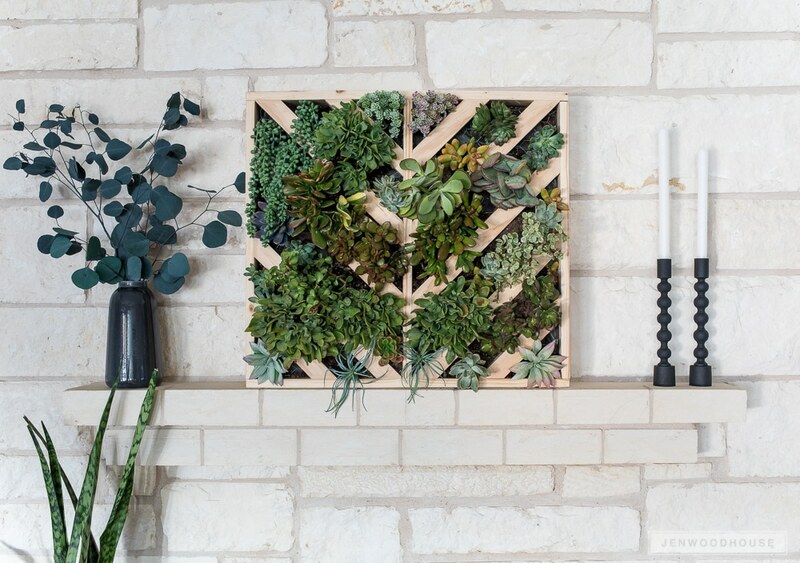 So are you ready to tackle this Vertical Succulent Garden for yourself? 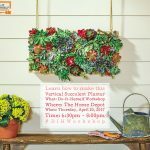 Come to The Home Depot’s DIH Workshop on Thursday! 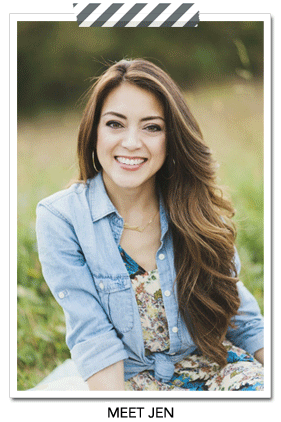 Before you go, be sure to check out how my blogging buddies customized their project! 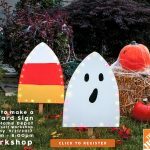 You’ll be inspired by all their fun ideas! 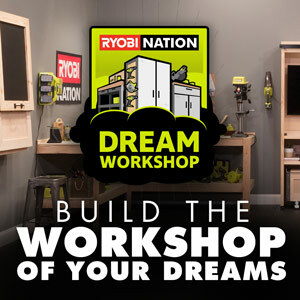 If you’ve recently attended an in-store Workshop at The Home Depot, we’d love to hear your thoughts! Feel free to leave comments and feedback by clicking here. Love this project? Please PIN and SHARE it! Amazing! I am ready to tackle the project! 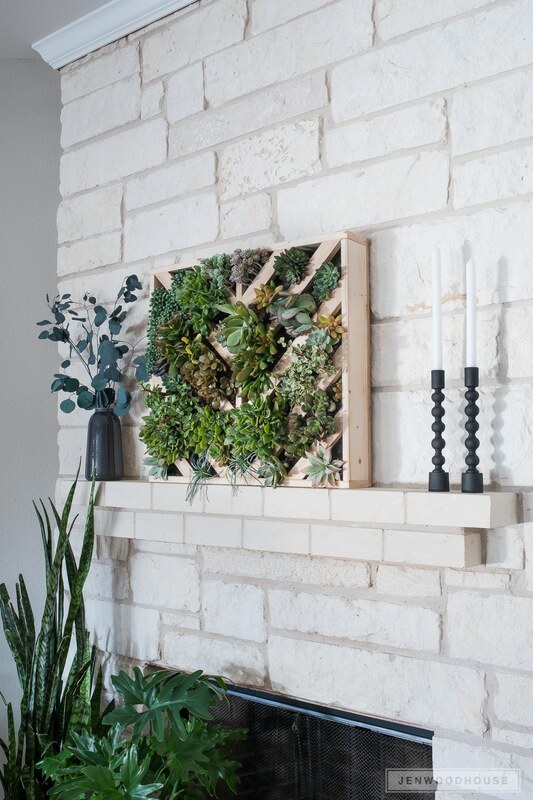 Now that it is June how is the succulent wall doing? Is it hard to maintain? What about drainage? 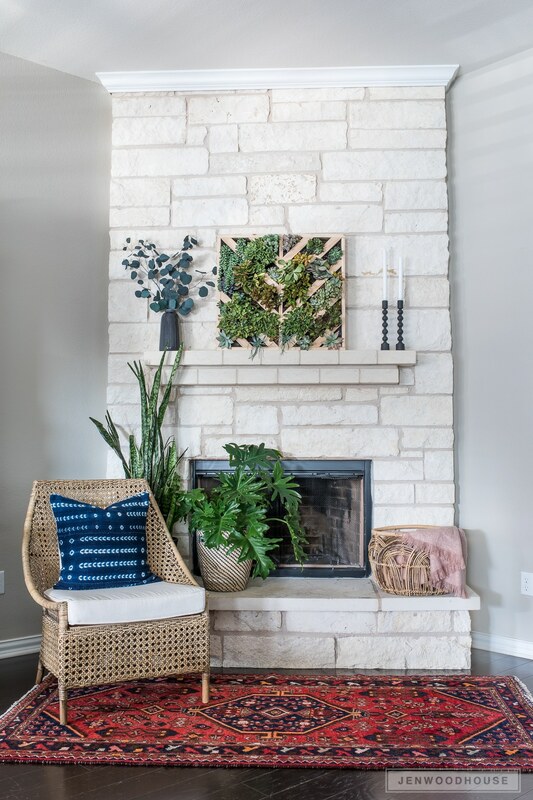 Wow, those succulents look divine up there on that mantel. I’m too lazy to make that myself, but it sure does look nice. Hey, Jen. Great project. 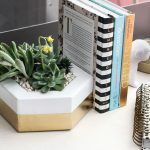 Laura Leboutillier, a YouTuber at the channel Garden Answer, suggests watering succulents with a syringe. Your biggest challenge over your mantle might be light. Succulents want A LOT of light. God’s blessings to you and your family. And thank you all for your service. Thanks so much for the tip, Bonnie! 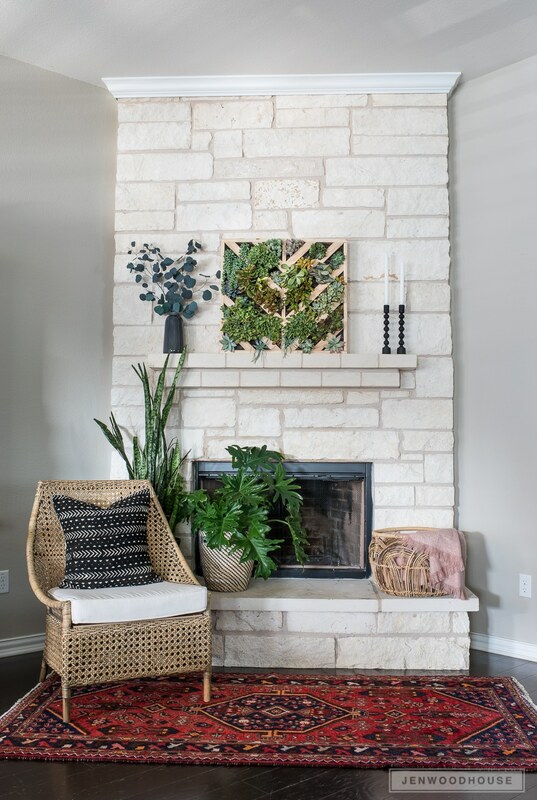 what’s a the foliage in the vase next to the planter? It’s so pretty! Thanks Fern! It’s silver dollar eucalyptus.